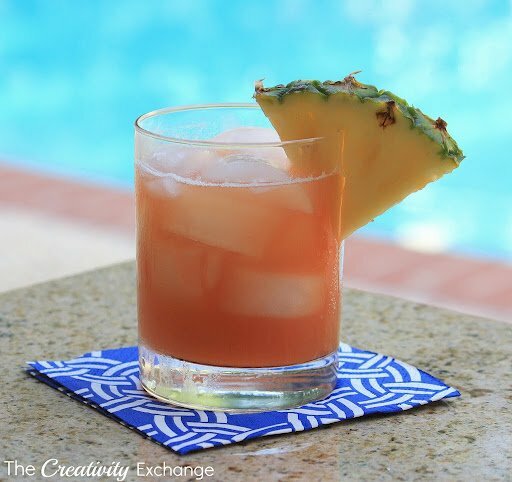 After a trip to the Cayman Islands many moons ago, I came home obsessed with trying to recreate the amazing Tortuga Rum Punch that I experienced. If you’ve ever been to the Cayman’s, you know that you cannot go anywhere on the island without being handed a glass of Rum Punch and most likely, it’s Tortuga. 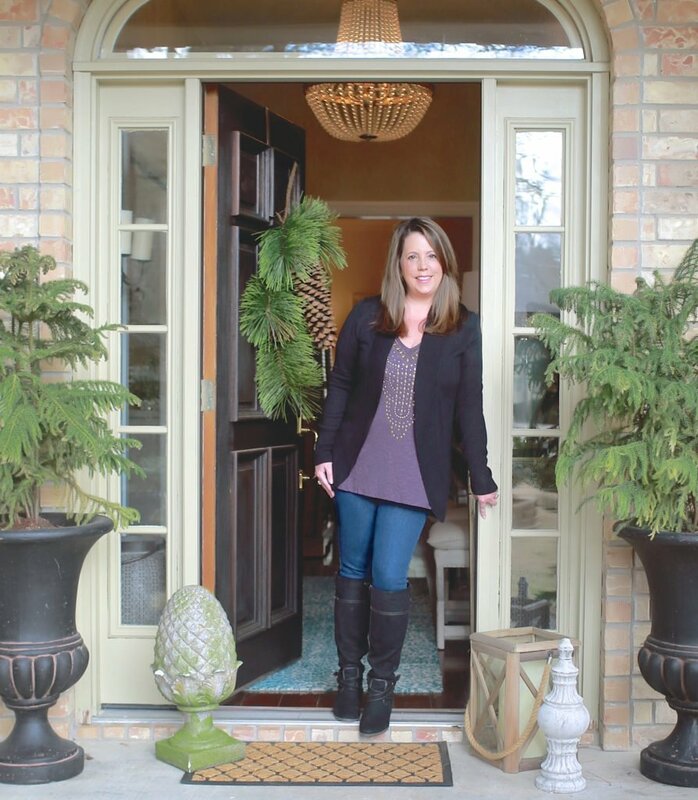 It’s the signature way the Cayman’s welcome visitors, and what a welcoming it is! 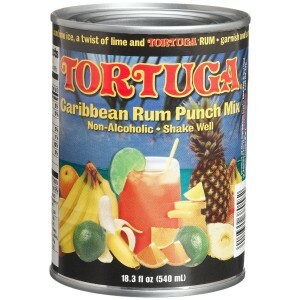 My friend Allyson, who also loves Tortuga Rum Punch, gave me a can of it several years ago and that was all I needed to dissect the tastes and come up with a copy cat recipe that tastes very close to the real thing. Most of the grocery stores in the South carry Jumex juices/nectars in the can. It’s usually not in the juice section but rather in the section with drinks and food products from Mexico. I’m not sure about other the availability of Jumex in other places but if you can’t get Jumex, see if you can find mango, guava and strawberry banana juice/nectars in another brand. You can also order Jumex online by the case here at Amazon. Each can of Jumex is 11.3 ounces. By the way, kid’s love these tropical juices too! 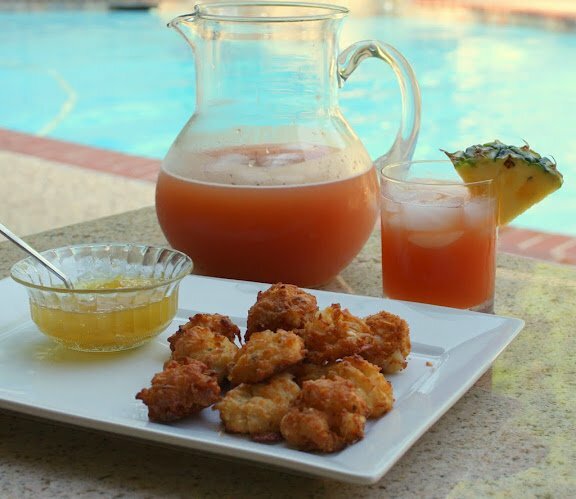 Ok, let’s go on to the yummy Coconut Shrimp Fritters! 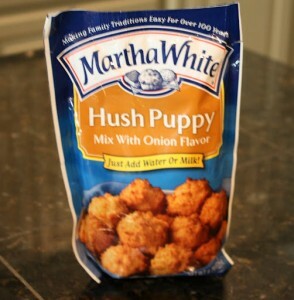 Mix the hush puppy mix according to directions. Add the coconut, shrimp and grated cheese and mix together. Heat oil in medium size pan. Using a tablespoon, scoop out mix and use hand to form into either balls or oval fritters. Place onto tray. When oil is hot enough, using tongs or a slotted spoon, gently lower into the oil. Turn over after a couple minutes and cook until the fritters are golden brown. Remove and place on a plate with paper towels to remove any excess oil. 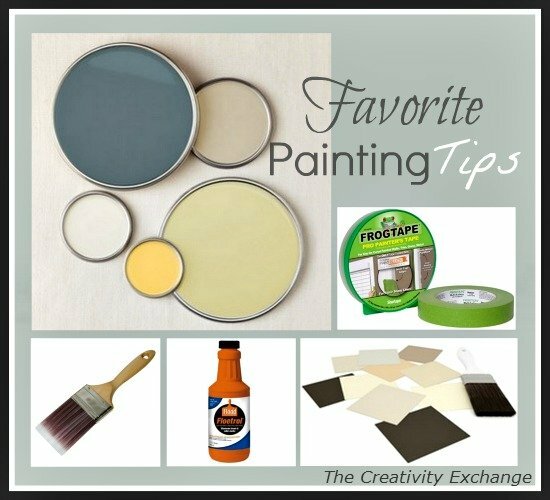 For dipping sauce, I use pineapple marmalade or any tropical fruit marmalade found in the jelly/jam section of the grocery store. 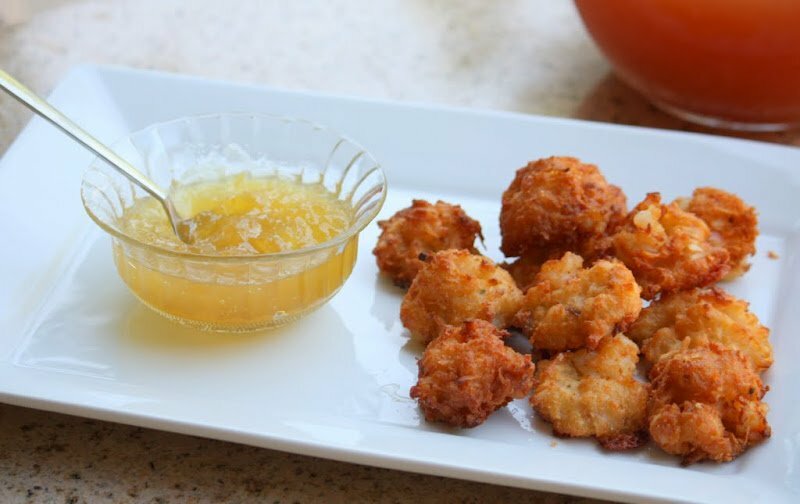 This is a great basic fritter recipe, so you can adjust ingredients to your liking. I hope these two recipes get you in the island frame of mind since we already have the island heat! 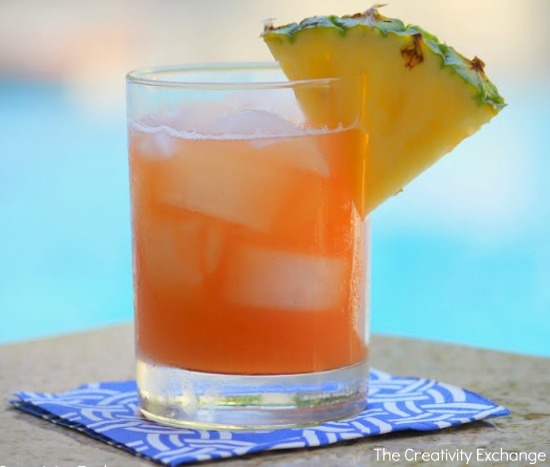 At least we can trick ourselves with some tropical rum punch to feel like we’re in the Caribbean, right? Ok, well maybe not but it sure helps cool us down! Looks so delicious! 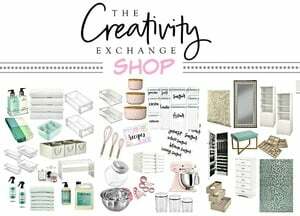 When I read American blogs I get so jealous that I can’t buy a lot of the products here in the UK 😐 Had some awesome coconut shrimp in Bahama Breeze when I visited Florida last summer – I may have to try and re-create your recipe *somehow*! !